This was okay, but honestly? If you’re interested in archaeology, watch out for the “Archaeology’s Dirty Little Secrets” course to run again on Coursera. It covers a lot of the same issues, but in more depth, with more examples, and obviously with the chance to interact with a lot more people/opinions (even if you just watch the videos). The assignments help you focus on and get to grips with the techniques and discussions. This book is… much more basic. It’s very informal, often very personal to the author (as where he sneers at theories he doesn’t agree with, or makes snide comments about other people working in the field). There are some useful bits, and it’s certainly an easy (and very brief) read, but mostly I think you’d be better investing a bit more time in this, via Coursera or via other, better books. 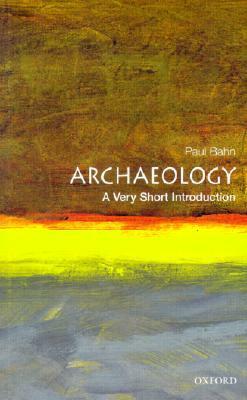 One section that rather riled me was the whole bit about “feminist archaeology”, mostly using those scare quotes. Bahn falls into pretty much every pitfall in talking about feminism, claiming for example that the history of men is now going to be ignored, and comparing women to slaves who will want to be masters. Right. Thanks, dude. I love Coursera, I’ve done so many courses with them!